The “Gianmario Scola” ice stadium in Canazei gives you the chance, in winter and also in summer, to practice a funny and amazing sport. 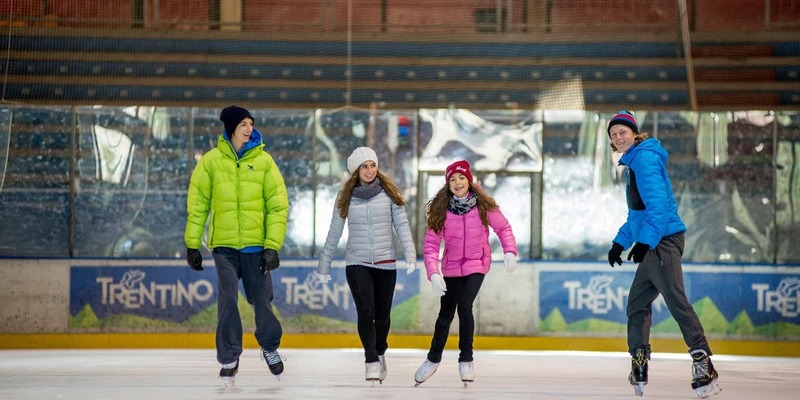 Skate on ice and have fun with your family and friends. As the ice stadium hosts hockey matches and other ice skating events, the opening hours can change time to time. Services: ice skate rent for a discounted price, ice skating lessons and bar. Moreover, ice skating and hockey lovers have the chance to watch two hockey matches with one free ticket offered by Hotel Villa Rosella ***.